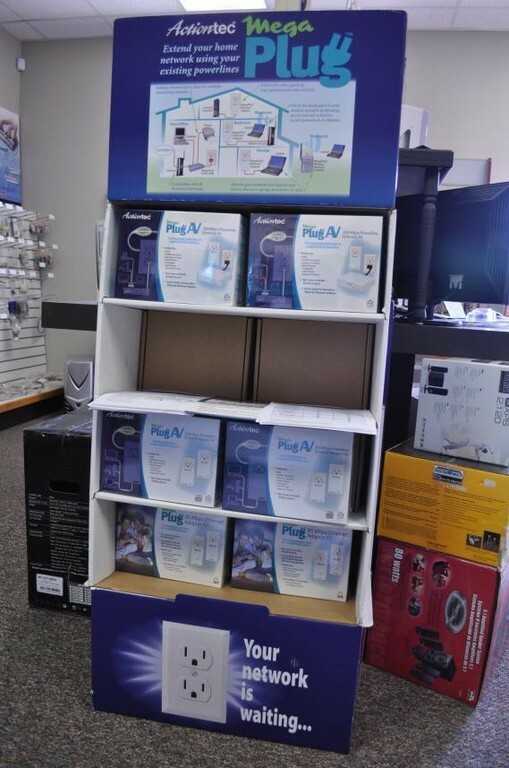 At MAC's Tech Hut / Micro Air Computers you'll find exactly what you are looking for. 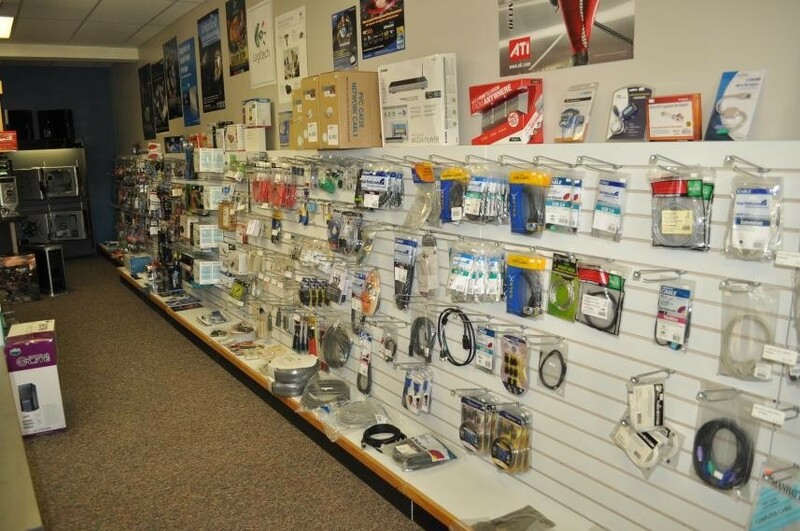 Our vast 1500 square foot showroom is stocked with every component that you will need to either upgrade or repair an existing PC or even build a new one. 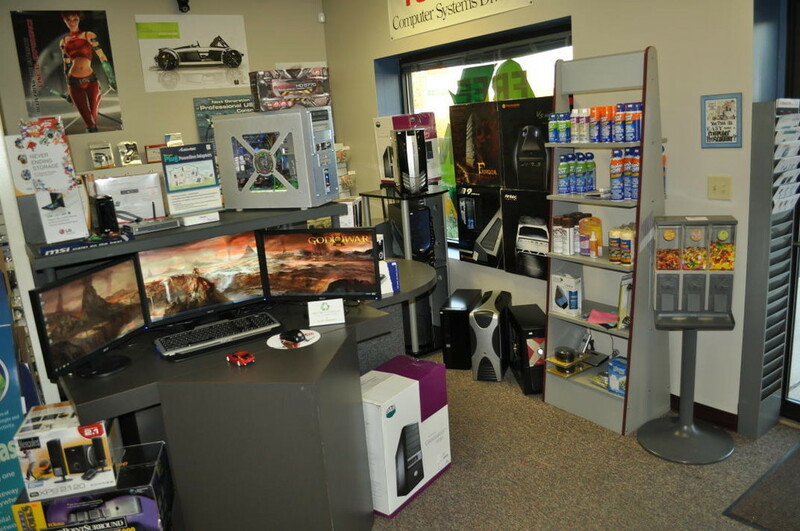 When it comes time to replace that aging PC we can help there too. We specialize in custom configuring PCs and our desktop/tower PCs come with a 3 year parts and labor warranty. So whether you need a PC to simply browse the web or a high end PC to play those demanding graphical games, MAC's Tech Hut / Micro Air can configure a PC just for you. Don't want a desktop PC? No problem. 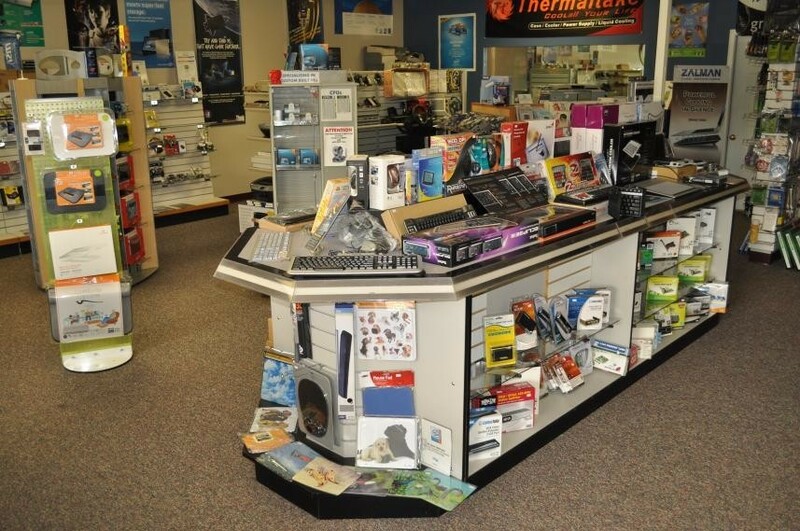 We offer various notebooks, tablets, Two in Ones, and All in Ones as well. 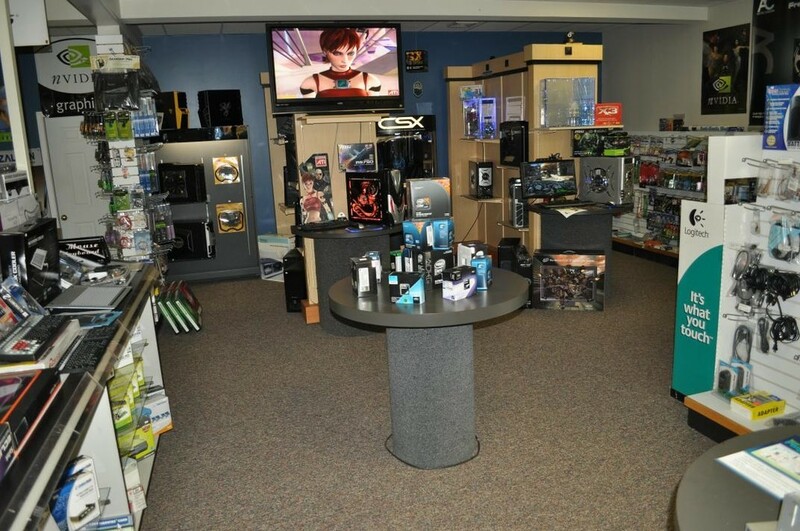 We even offer gently used or recertified computers, notebooks and tablets. This inventory changes weekly. Not sure if you want a desktop or a tablet? Why not get a PC that does both? Asus has a hybrid PC that on the surface looks like an 18.5" All in One, but has a removable screen that allows you to use it as a tablet. With the screen removed you have all the power and flexibility that an Android tablet has to offer with a twist. You can communicate back to the All in One's base and run any of the Windows 8.1 apps as well thru your wireless network and remote access program. Ever start watching a video on your PC and wish you could continue watching it in another room? Now you can. The removable tablet is also great for a family's game night. Simply remove the tablet from the base and put it on your family's coffee table and start playing many of the board or other games that Android has to offer. 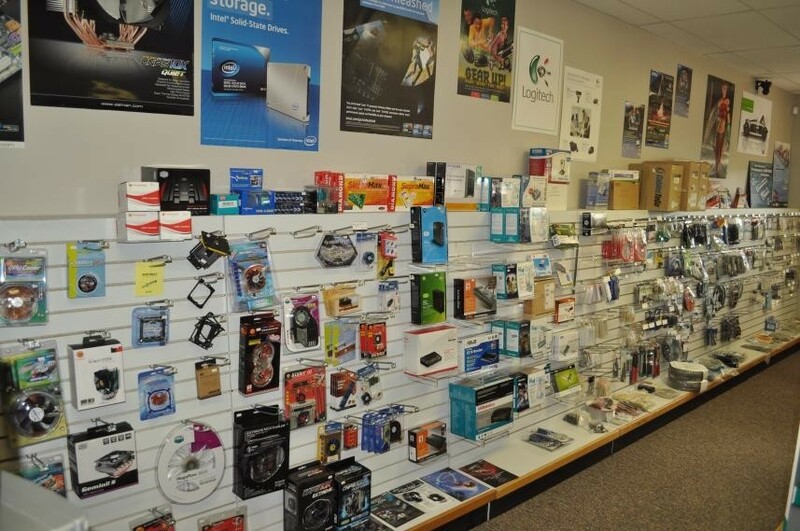 In our networking section we have everything that you will need to network a home or office from: wired and wireless routers as well as USB, PCI and PCI-e adapters. Do you have an area in your home that Wi-Fi just doesn't reach? If so, we can help there too. By either installing a Wi-Fi repeater or using one of our many power line adapter kits that uses your home's electrical wiring you will be able to network that hard to reach area of your home. Stop in or call for more information. Are you a Gamer and you are tired of your aging rig struggling to put out the frame rates that you need to game stutter free? Do you want to be able to game stutter free again? No problem. We can help. Whether you just want to upgrade your existing video card to one of the newer ATI or nVidia cards, or you want to totally build a new rig that is powerful enough to allow you to sit back and game glitch free for years to come, we can help. We can suggest the best components to help you build the rig of your dreams without breaking the bank. Need even more speed than the stock CPU was designed for? Micro Air stocks a variety of water cooling kits to allow you to over clock your CPU and still allow it to run cool and lock up free. Tired of that boring case? 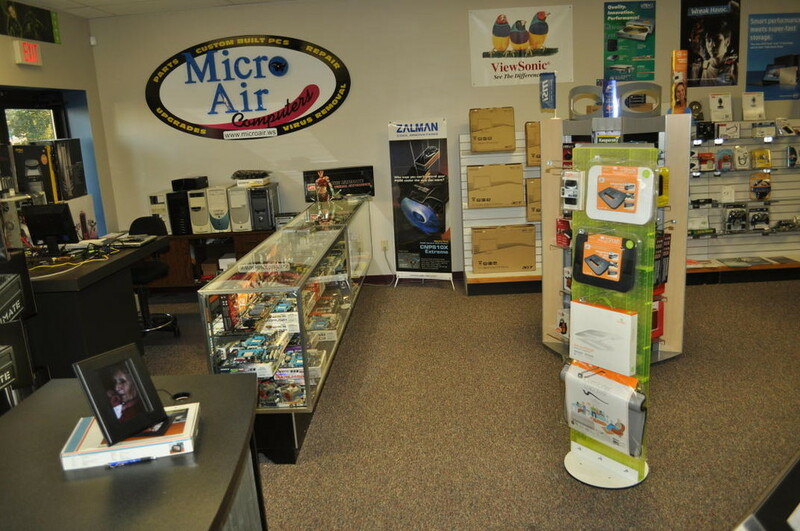 Come by Micro Air and check out over 35 different cases in-stock. We have cases that range from small to large, have side windows, front doors, as well as some with removable hard drive bays and fans galore. We even stock a totally clear acrylic case and have one built and on display. 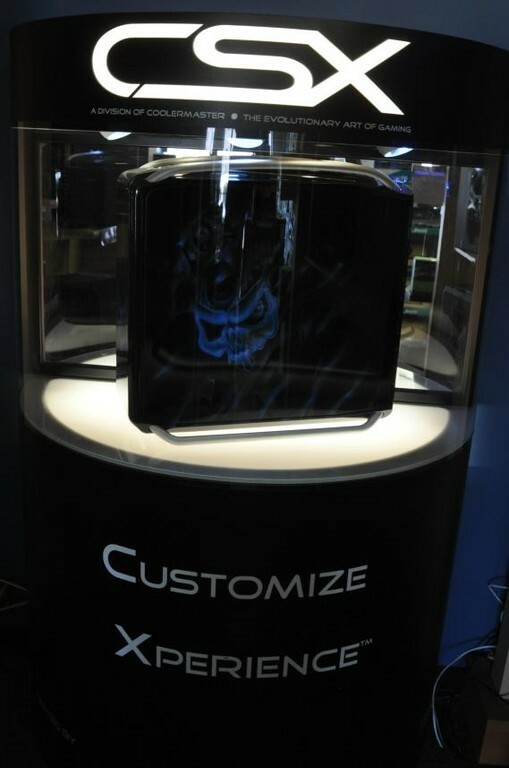 Nothing says custom like our limited edition custom air brushed case from Cooler Master. Check it out. 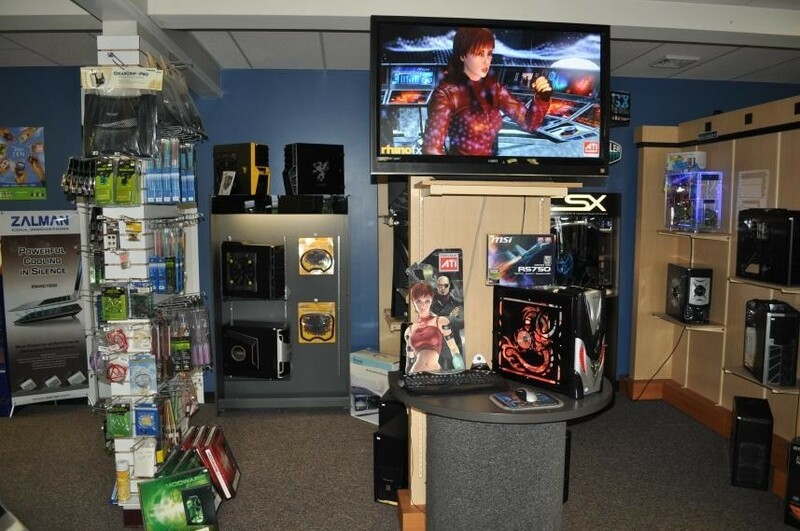 It's on display in our store and pictured below.